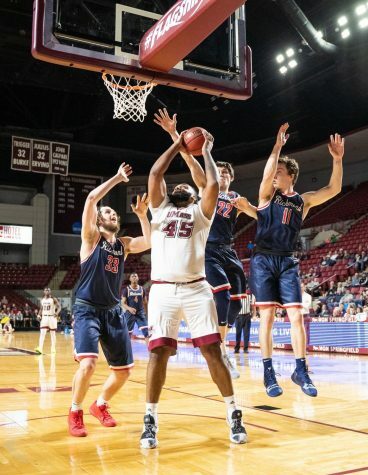 Fans of the Massachusetts men’s basketball team won’t have to wait until next Friday to get a glimpse at the Minutemen. 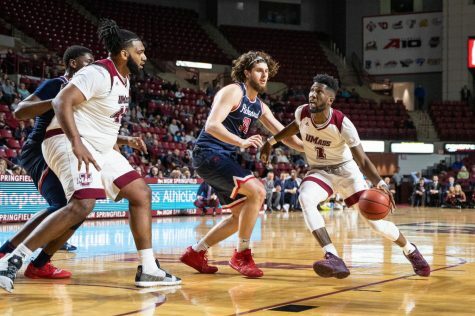 UMass will hold an exhibition game against Brandeis on Thursday night at the Mullins Center at 7 p.m.
“This is our first exhibition game and it’s an opportunity for us to play a different opponent other than ourselves and to do it in front of our home crowd,” UMass coach Derek Kellogg said. 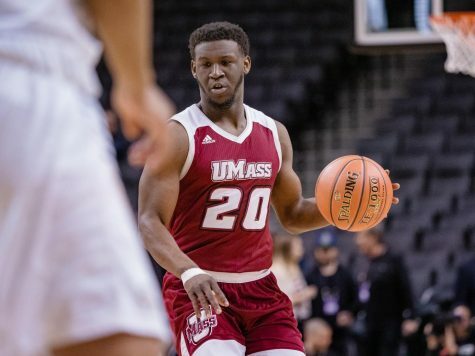 The game against the Judges will give Kellogg an opportunity to try out different lineups, which is something he hasn’t settled on through the preseason practice. Despite not having a full vision of what he wants in his starting lineup, Kellogg did have a likely starting lineup in mind, which includes guard Anthony Gurley. 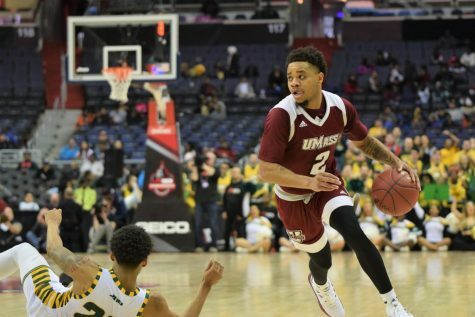 Gurley, who averaged 13.6 points per game last season, will look to fill the shoes left by top-scorer Ricky Harris, who moved on after graduation and is now playing overseas. Sophomores Sampson Carter and Terrell Vinson were also named by Kellogg to his potential starting lineup. Carter and Vinson were two of the five freshmen that had impressive rookie seasons last year. Along with Carter, Vinson and Gurley, center Sean Carter and senior guard Gary Correia could round out the starting five for Kellogg. Despite the potential opening lineup being one similar to last season, fans should expect to see some new faces take the court under Kellogg’s watch. 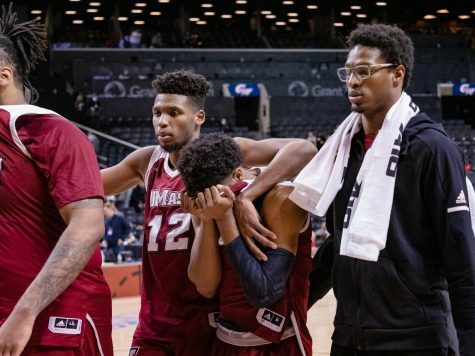 “It’s a chance for our guys where I can play different combinations and play a lot of guys and not totally worry about winning the game,” Kellogg said. 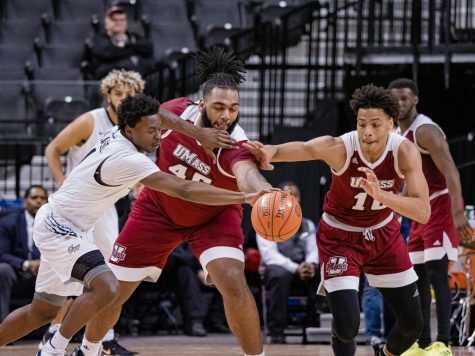 Even though winning is not Kellogg’s main concern, he doesn’t consider the scrimmage to limit the level that UMass will compete at on the hardwood. 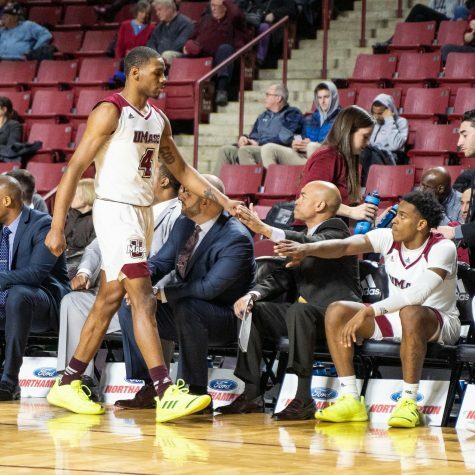 Not only does Kellogg want to get himself accustomed to coaching in midseason form, but he is also trying to prepare the Minutemen for competing in a regular season atmosphere. 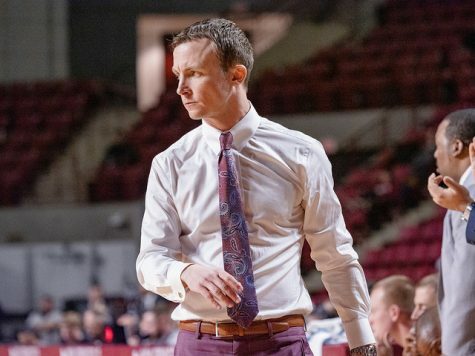 “One thing I always want to do is make sure that they get a chance to shoot in game-like conditions in our building and we want to do something before our first home game next Friday versus Rider,” Kellogg said. 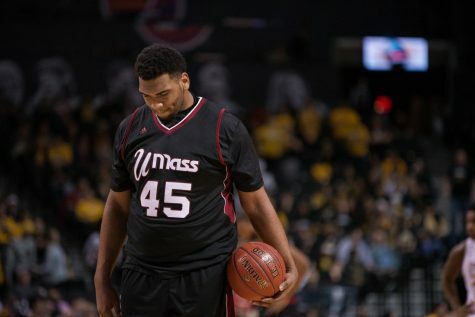 When the schedule was first released by UMass in September, the Minutemen were not scheduled to take on Brandeis. It wasn’t until Oct. 26 that it was announced the two schools would meet. 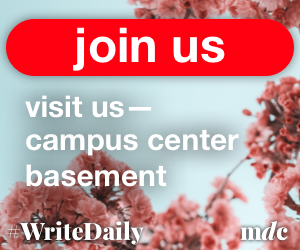 The Judges will come into the Mullins Center with an inexperienced lineup which includes 10 freshmen. These freshmen join a team which made it to the second round of the Division III NCAA tournament, where it fell to Franklin & Marshall, 65-63. 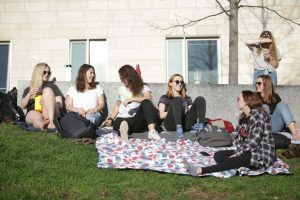 Kellogg also said that the talent of the Judges will be a good test for the Minutemen as they begin to compete. 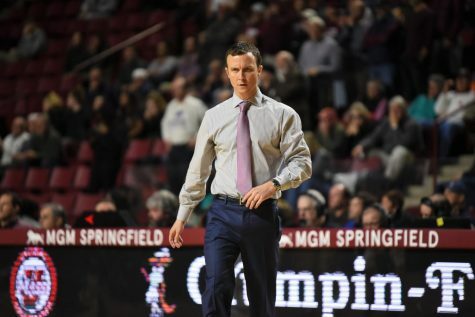 “A lot of the Division III guys I’ve spoken to, or people in the area, think that they have a chance to be a Final Four, [Elite] Eight, Sweet 16-type level talent down the line which is good for us,” Kellogg said.